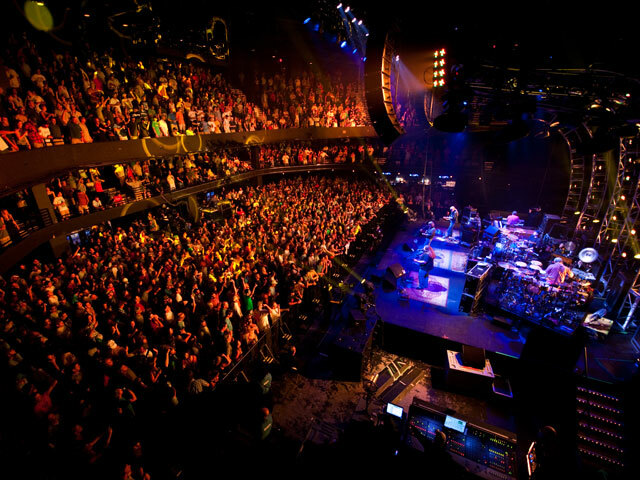 With more than 250 live music venues, Austin is justifiably known as the Live Music Capital of the World®. If you’re looking to experience it for yourself, or you’re trying to find something fun to do at night in Austin, then you need to visit one of the city’s many hip and happening entertainment districts. 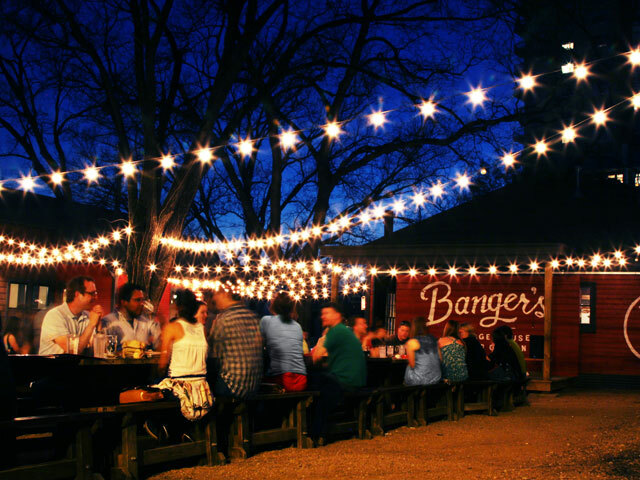 Whether you’re looking for a rowdy party hangout scene and large crowds or a place to kick back with a pint of beer and listen to an intimate acoustic show, you’ll find it in Austin. Of course, Austin’s quantity of places to hang out can be daunting for even those who live in the Texas Capital. Don’t worry; we’re here to help. Read on to learn about each of the city’s hotspots and what you can expect from each. South Congress Avenue occupies a hilly and tree-filled part of Austin just south of the Colorado River. Walk along South Congress Avenue and you’ll have your pick of restaurants serving everything from American to Italian and Mexican cuisine. There are quite a few trendy shops and an art gallery in the area to browse as well. Make sure to snap a few photos of the public art throughout the district, including every couple’s favorite, the “I Love You So Much” mural. The East Austin Entertainment District, covering Sixth Street east of I-35, offers a quirky and relaxed alternative to crowded Sixth Street. Find a cozy spot in a coffee shop or the outdoor patio of a bar and nurse a drink of your choice, then order something delicious from a food truck. Don’t miss the graffiti-style murals spread throughout the district. Austin’s West Sixth Street District is where young 20- and 30-somethings go after they graduate from college. Retaining its fun and youthful vibe but with a dash of sophistication, it’s a fine alternative if you’d rather avoid Sixth Street’s crowds. Along with the nighttime hangouts, the area has a diverse selection of restaurants for you to choose from, including everything from a salad shop and Latin cuisine to an ale house and good old-fashioned American fare. Tucked away on the eastern bank of the Colorado River just a few blocks from Sixth Street is Rainey Street. Upscale bars serving craft brews and a wide range of high-end restaurants sit within and among historic homes, giving the whole district an easygoing charm. Perfect for date nights and pints of beer shared with friends, you’ll want to stop by Rainey Street while you’re in Austin. 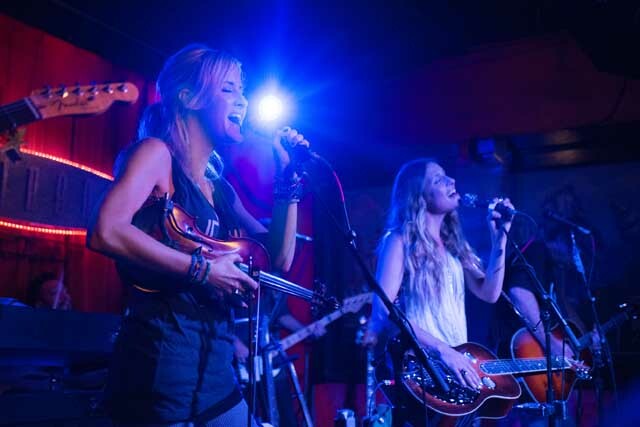 While you can hear bands performing throughout much of Austin, the heart of the Texas capital’s live music scene can be found in the Red River Entertainment District. Located along Red River Street which intersects Sixth Street, it’s here you’ll find local and touring acts doing their thing. This is where you’ll find eight of Austin’s live music venues, including Beerland, The Sidewinder, and Stubb’s BBQ – home to an outdoor stage that hosts regional and nationwide acts throughout the year. Austin’s famous Sixth Street is as much a hub of nightlife as it is an attraction for travelers. Once the sun sets, this entertainment district is closed to vehicle traffic freeing up the streets for throngs of bar hoppers. Sixth Street tends to attract a younger crowd that reflects Austin’s status as a major college town. The party runs from Thursday through Saturday every week along Sixth Street from I-35 to Congress Avenue. Good food, tons of live music, and an upscale nightlife scene await in Austin’s Warehouse District. Located just west of Sixth Street, the district is just the place if you’re looking for a lively nightlife with more mature crowds. Running the length of 2nd Street from Congress Avenue to San Antonio Street, this easy-to-walk section of downtown Austin features local and national-brand shops, a diverse selection of restaurants, and trendy bars. Wear comfortable shoes and don’t forget to snap a photo with the Willie Nelson Statue at the intersection of 2nd Street and Lavaca Street.